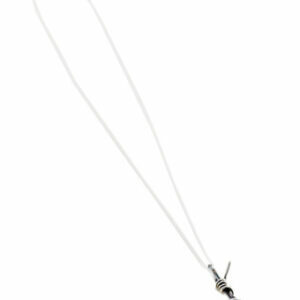 Home / Shop / Barb Wire Range / Large Barb Wire Necklace. 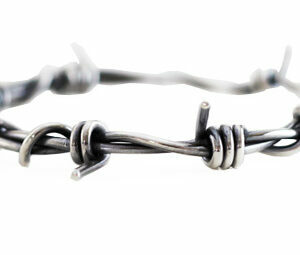 The Large Barb Wire Necklace is the heaviest and biggest piece of my range of contemporary barbed wire jewellery. Hand made in any neck size, select your finish and size from the drop down menu. 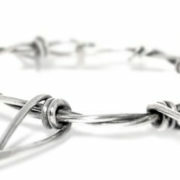 The Large Barb Wire Necklace is a necklace designed for both men and women and it forms part of my range of contemporary barbed wire jewellery. 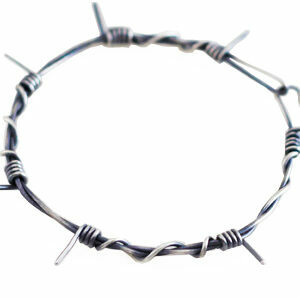 It’s made from 3mm round silver wire, twisted and formed to resemble barbed wire. 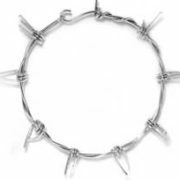 1 review for Large Barb Wire Necklace. There’s no big arse neck that’s too big!